KABTech glass partition walls and modular glass partition wall systems, are an ecological and sophisticated workplace solution. Our glass wall, office wall systems create clean and contemporary office spaces while accommodating today’s need to change and improve office space and appearance. Our glass modular wall partitions give the appearance of permanency with a smooth, modern architectural design while maintaining the ability to be easily dismounted. The versatile, single frame designed glass wall panels are completely removable and can be disassembled and reassembled as your office requires. Expansion and renovation are quickly accomplished without wasting your original investment and giving you the ability to maintain a lower remodeling budget. The unique and functional glass partition design offers a timeless elegance that in step with modern aesthetics and is limited only by your creativity. KABTech modular glass walls partitions come at a fair and competitive price for many cities near us and feature a frameless design with minimal lines and seams. The beautiful architecture provides a clear view and allows for endless design possibilities. 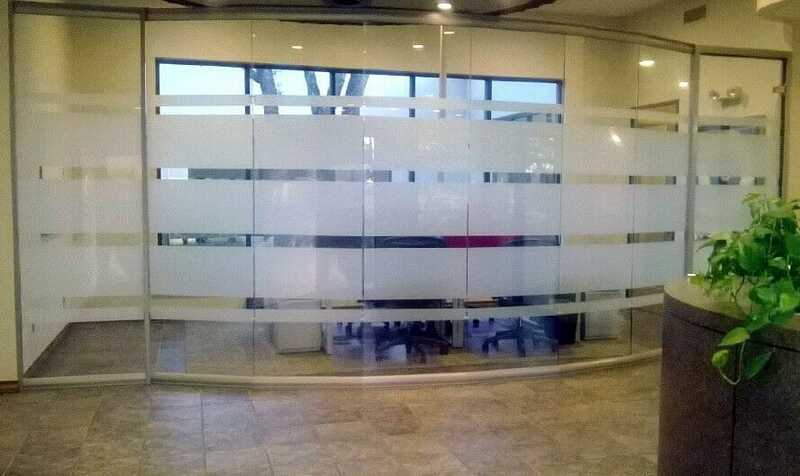 Customize your glass partition walls with tempered, laminated, or specialty glass. Architectural, acoustically designed glass wall panels carry a 45 STC rating for maximum sound deadening quality. We also offer a variety of door and hardware options with environmentally friendly paint finishes. You can choose from framed aluminum glass or wood doors as well as frameless glass sliding doors to complete the desired appearance of your selected design layout. KABTech Corp is an experienced provider of every part of the industrial plant and office modifications your industry requires. KABTech is well known for their modular in-pant offices, two story and second level mezzanine offices and pre-manufactured guard shacks. When it comes to demountable modular glass walls, KABTech can show you how to save money and create a modern, contemporary look. All modular glass partition walls support LEED designs, are reusable and reconfigurable. Our glass walls are made from 100% recyclable materials. Glass partition walls can be installed with minimal interruption to work facilities as they easily integrate with existing buildings and offices. Our glass partition wall panel sealing system provides top and bottom seal activation, providing increased acoustical efficiency at an affordable price. This simple designed dry sealing system is economical and ensures quality and durability for many years of service. Our curved and straight wall glass panels are dry joint installed, making demounting and relocating a breeze. We are confident that you will appreciate the fine detail that goes into every glass partition panel and modular wall unit. Durability and simplicity are the leading ingredients in creating our line of elegant and versatile demountable glass wall systems. Because we offer custom fitting and installation by our team of experts, we limit our glass office partitions to areas located in the southeastern United States only and provide personal service for all job requirements. Individual glass partition wall offices portray an image of openness and engagement with the function of the business at hand. Employees maintain a feeling of connection and importance whereas traditional solid walls breed a sense of isolation and disconnectedness. A faster pace work environment allows employees to know when an office is occupied and if it is important to knock on doors before entering. It also prevents meeting interruptions. Glass wall partitions add to the natural flow of light and allow the windows from the outer offices to add open atmosphere to the entire room. Less artificial light is needed. Studies show that open office spaces and glass wall spaces enhance a more productive and creative mood within the office environment. Employees who have introverted personalities feel like they are on display and have a hard time staying on task. Privacy is limited, and the other office members can see the body language of people in private office meetings. Glass does not block noise as well as insulated walls and thus allows some conversations to be overheard. Messy, unkempt offices are displayed for all to see. KABTech is one of the leading “Modular Office Suppliers” in the continental US. For over thirty years, they have been supplying and installing custom in-plant modular offices. Our modular glass partitions are also the perfect solution for support unique office environments with varying floor levels and in-plant offices. For more information about our glass partition walls, contact us today.